Do not doubt that I call you friend – that you are family to me. My love for you is immeasurable and I love it when you call on Me for help. You are not a burden, but My beloved child. Trust Me with your failures and faults. I will lead you out of captivity. 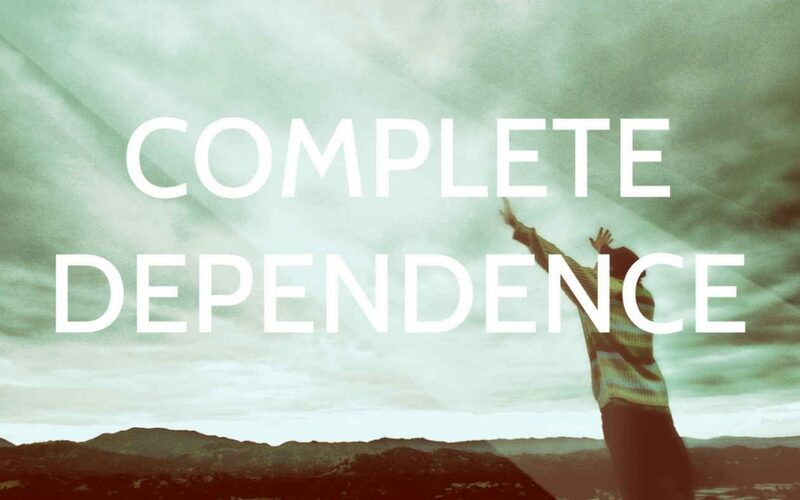 What you and I learn in the wilderness is to radically depend on King Jesus. We don’t just depend on Him sometimes. We depend on Him all the time – again, radical dependence. We are safe with Him. He is our cloud by day, our fire by night. Think about your own wilderness experiences when you ended up in places you didn’t want to go. When you went into situations you thought would kill you, but God was so good to you in that place and it changed your life. Radical dependence was a game-changer me and it can be for you as well. For the rest of your life you will say, “Oh, I get it now. Whatever the problem is, it’s not God.” You learn that in the wilderness because in the wilderness, the only thing you have going for you is God. Know this: your Promised Land is coming! Whatever wilderness you’re in – your marriage, health, rebellious kids, addiction, financial hardship, depression – it doesn’t matter to Jesus. He’s there. Lean on Him in radical ways. He will envelope you with radical love.